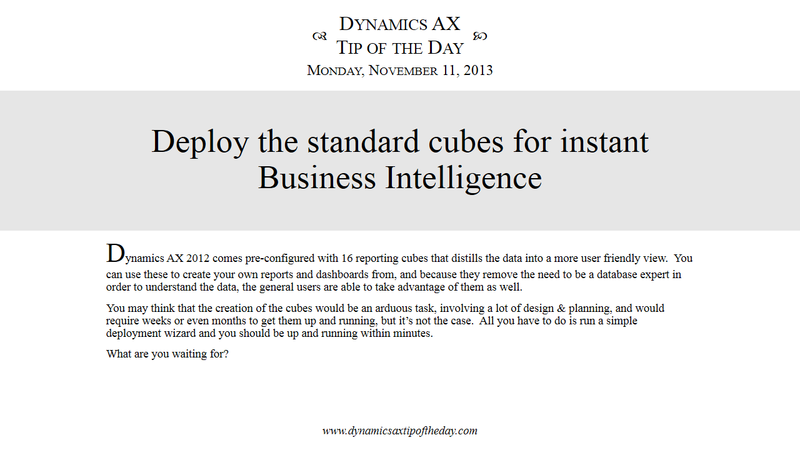 Dynamics AX 2012 comes pre-configured with 16 reporting cubes that distills the data into a more user friendly view. 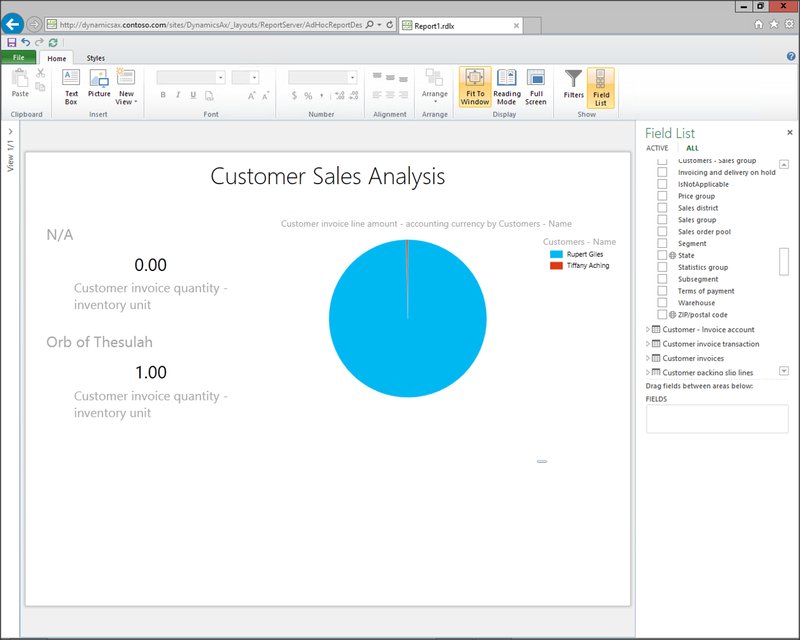 You can use these to create your own reports and dashboards from, and because they remove the need to be a database expert in order to understand the data, the general users are able to take advantage of them as well. You may think that the creation of the cubes would be an arduous task, involving a lot of design & planning, and would require weeks or even months to get them up and running, but it’s not the case. 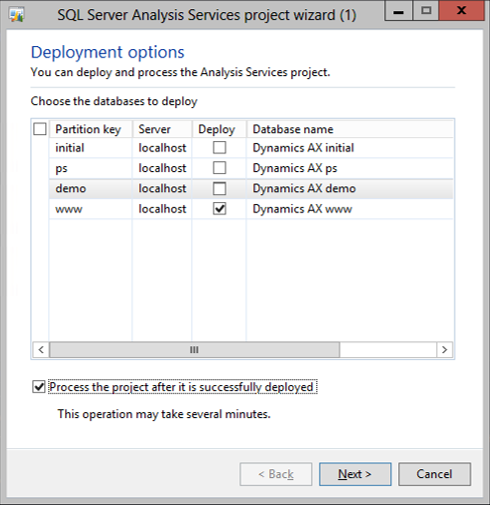 All you have to do is run a simple deployment wizard and you should be up and running within minutes. 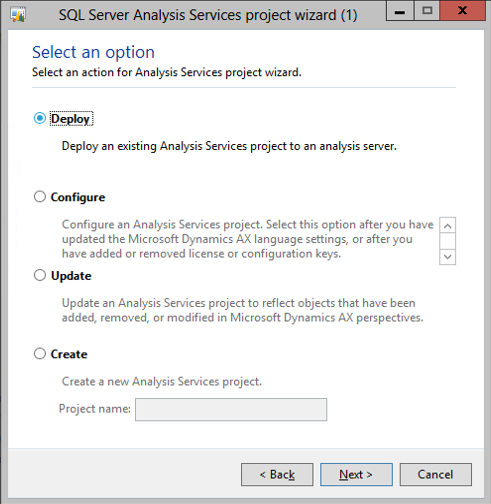 From the File menu, select the Tools submenu, and then the Business Intelligence (BI) tools submenu, and select the SQL Server Analysis Services project wizard menu item. 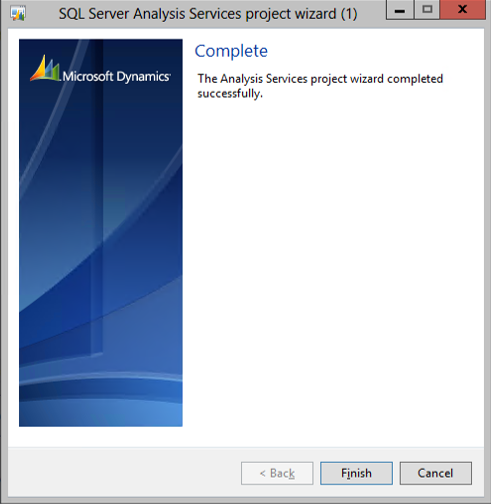 This will start up the Analysis Services project wizard. When the welcome dialog is displayed click on the Next button. 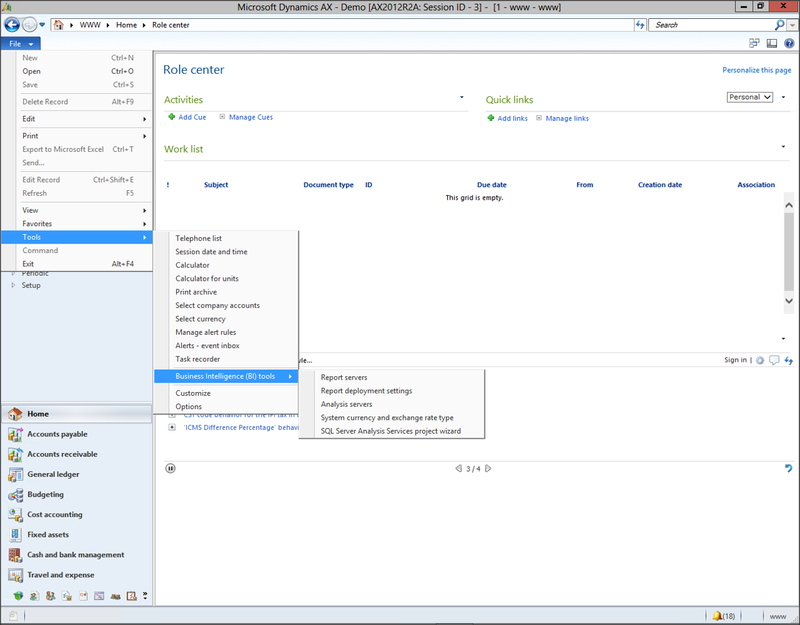 Select the Deploy option to create a the 16 cubes from the existing project that is already built within Dynamics AX and click the Next button. 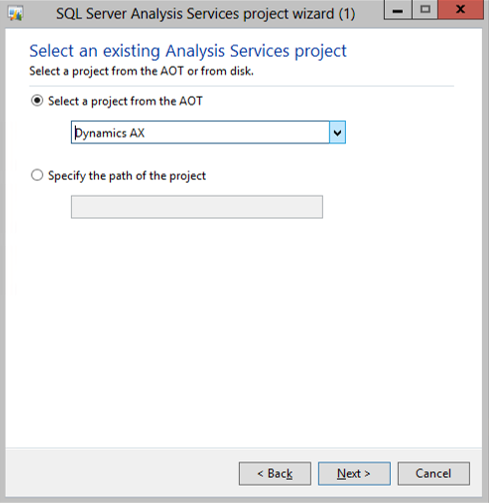 Then select the Dynamics AX product from the drop down list and click the Next button to continue. 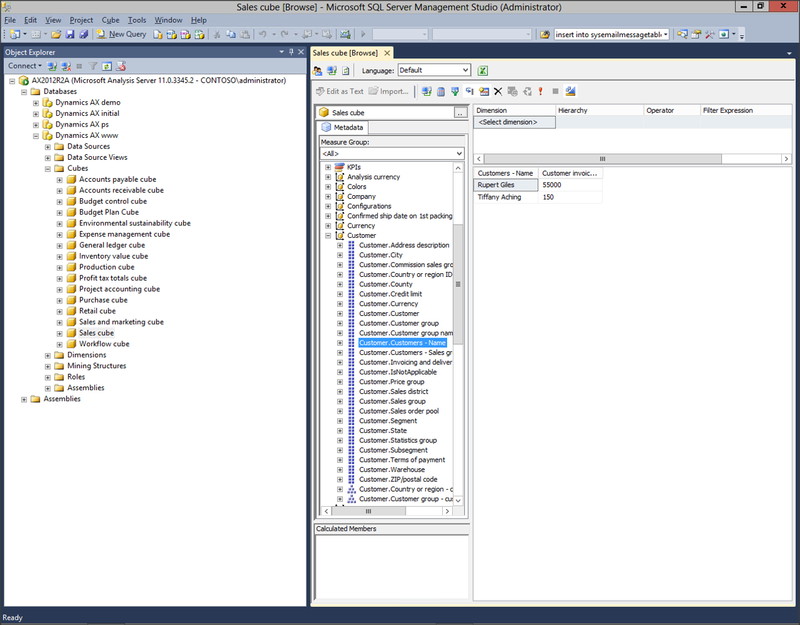 When the Deployment options are displayed, select the data partition that you want to create the cubes for and then click the Next button. 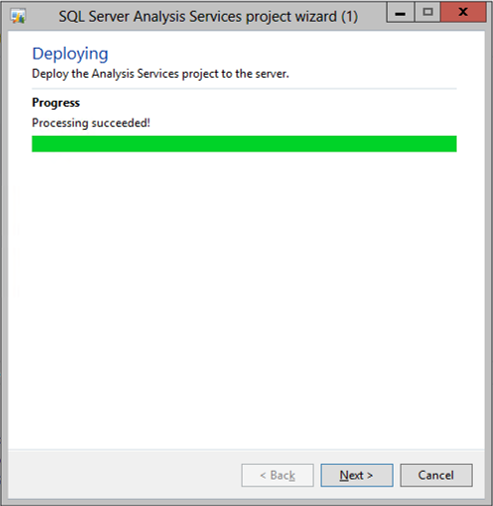 Also, check the Process the project after it is successfully deployed checkbox. This will process the data so that you will be able to report off it right away. The wizard will then start running, and will probably run for a couple of minutes as the cube is being created and processed. When it is completed, just click the Next button. Now you can exit the wizard by clicking on the Finish button. 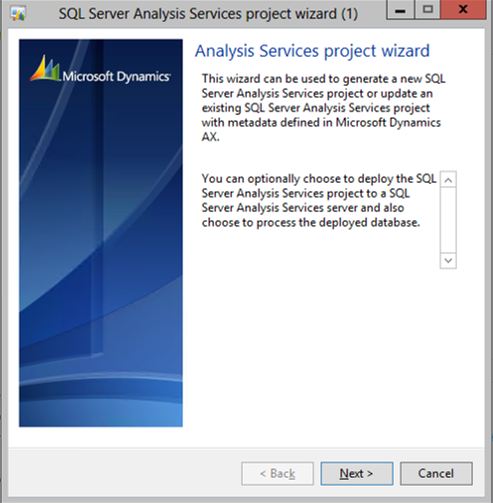 If you look at the Analysis Services cubes within SQL Server Management Studio, you will be able to see all of the cubes that the wizard just created. If you also connect them to PowerView then you will be able to create dashboards directly from the data within seconds.